Guests enter a sanctuary of warm woods and colors that echo the stunning views from the mountains to the sea. Thirty-two inch flat-panel LCD televisions, complimentary broadband Internet access and even whirlpool tubs in select suites offer expected services and pleasing comforts. Guests now arrive to an inspired reception celebrating the heritage of Polynesian voyaging in hand-painted murals and meandering water features. Gracious hospitality and attention to detail will delight the most refined tastes at the Outrigger Reef on the Beach. In the center of Waikiki the heartbeat of excitement and entertainment our resort is perfectly located for fun-loving family vacations. Just three miles from the famed Diamond Head crater, we're mere steps from Waikiki Beach, shopping, and more. Relax at our two outdoor pools, Sheraton Fitness, and Spa Khakara, and share great times at our three unique restaurants. 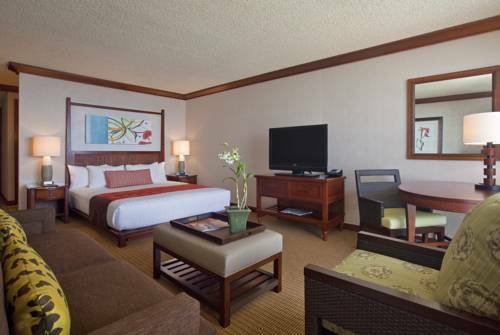 Enjoy modern Hawaiian style found in 1,636 guest rooms with ocean views from many of our rooms and all 136 suites. Relax in the comfort of island accommodations boasting a pure white Sheraton Sweet Sleeper Bed, LCD TV, and fresh-air lanai. 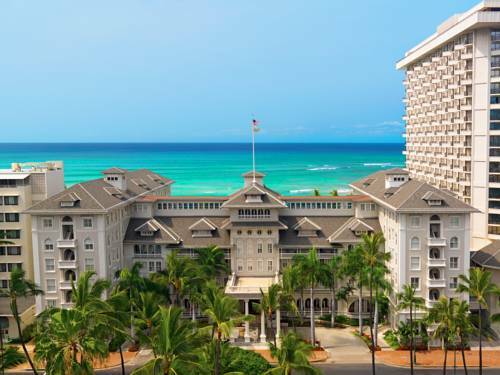 The oceanfront Moana Surfrider, A Westin Resort & Spa, Waikiki Beach combines turn-of the-century Victorian elegance with modern amenities. Located in the heart of Waikiki, we are a short walk from shopping, dining, and attractions. Retreat to the shade of our historic banyan tree, splash around the pool and ocean, or recharge at our WestinWORKOUT Fitness Studio. Soothe body and mind at our Moana Lani Spa, a serene sanctuary set amidst a true tropical paradise on Waikiki Beach. Enjoy Hawaii as smart and sophisticated travelers have since 1901. Recent renovations have revitalized all 793 guest rooms and suites, many of which offer spectacular ocean views as well as the signature Heavenly Bed and Heavenly Bath. Legendary luxury resort with white sand swimming beach and pool, beach cabanas. Fifteen minutes by complimentary shuttle from Waikiki, yet feels like a neighbor island resort. Thirty minutes by taxi or car from Honolulu International Airport. Rooms and suites decorated in Kahala Chic style, spacious rooms with pastel colors. Expansive bathrooms with dual vanities and extensive wardrobe space. 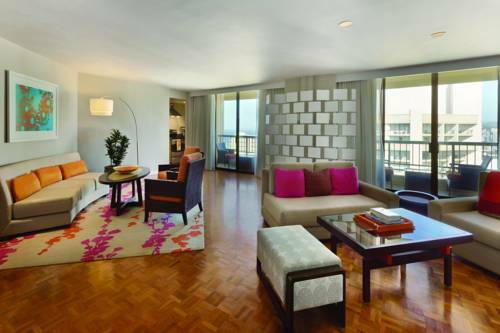 Signature Suite Collection offers elegant specialty suites with one or two bedrooms. 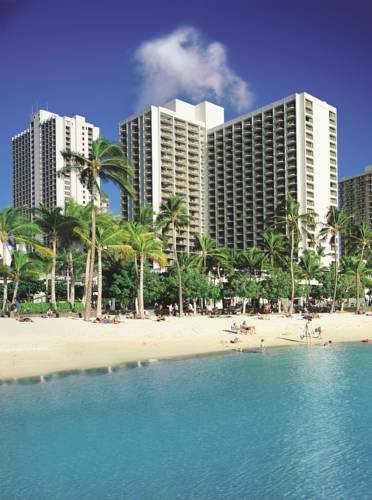 Retreat to a tropical playground at the Waikiki Beach Marriott Resort & Spa. Situated only steps from world-famous Waikiki Beach and the Pacific Ocean, this Waikiki resort spans 5.2 acres of picturesque beauty and splendor ideal for a getaway. Our spectacular resort in Honolulu blends the spirit of �Aloha� with an atmosphere that is warm, comfortable and inviting where you create your own paradise. Located near a dazzling host of attractions and sights. Unwind on your private balcony as soothing ocean breezes caress you, or relax poolside with a cold drink in hand. After a day of pure relaxation, retreat to your luxurious Honolulu guest room complete with island-style decor and plush bedding. Dine at our selection of premier restaurants. Get swept away at this Waikiki Beach Resort and Spa. Balanced between the idyllic beauty of the legendary Waikiki Beach and the dynamic city center, Hyatt Regency Waikiki Beach Resort and Spa is a vibrant destination combining relaxation and adventure with true Hawaiian hospitality. Each of the 1,230 guestrooms, including 19 suites, offers Hawaiian elegance and private lanai with panoramic beach, mountain, and city views. With an unrivaled location just steps from world-famous waves, the resort affords effortless exploration of the islands attractions, from Diamond Head Crater, Honolulu Zoo, and Waikiki Aquarium, to world-class shopping, sophisticated dining and expert surfing lessons. Hyatt Regency Waikiki promises Hawaiian-style excitement paired with the warmth of authentic Aloha spirit. The Outrigger Waikiki welcomes you to Waikiki's best beachfront with a beaut 524 guest rooms dressed in contemporary island style. 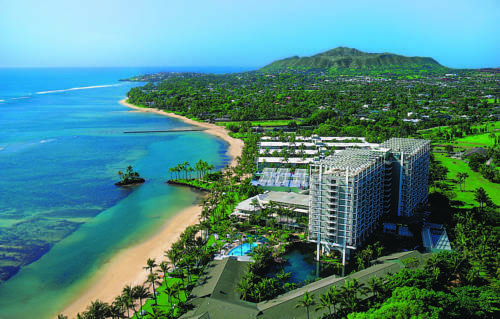 Perched on the silken Waikiki Beach with every room boasting either a partial or full oceanview from the room's lanai. Guests canimmerse themselves in an endless array of ocean activities, experience the the island culture with the hotel's regularly scheduled cultural activities, rejuvenate at the new Waikiki Plantation Spa, work out at the new fitness center or simply relax on the beach or poolside. Located at the gateway to Waikiki, the hotel is the ideal location for easy access to the Hawaii Convention Center, Waikiki, Ala Moana Shopping Center, or the business center of downtown Honolulu. Situated between the Ala Moana Beach Park, a local favorite to its right and world famous Waikiki Beach to its left, the hotel is just a short walk to the two best beaches in the Waikiki area. 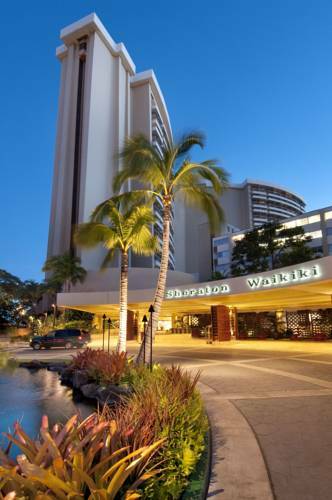 The OHANA Waikiki East is a 441-room hotel located in the heart of Waikiki. stroll to Waikiki beach, with the International Market Place and Royal Hawai Center nearby. Here you'll find comfortable guest rooms, kitchenettes and su designed for relaxation. The hotel features three restaurants, a coffee bar, and Whirlpool spa. Known as one of Hawaii's most romantic small boutique luxury inns we have been celebrated in song and honored in hula. Join us as we celebrate many wonderful years of sharing aloha with our guests. Find the perfect setting to make your Hawaiian vacation picture perfect. A beautiful Victorian home that brings to life all the elegance and grandeur of a bygone era. Tropical gardens and ocean views await you at this secluded 3.5-acre estate overlooking Pohakumanu Bay. Located just a few minutes north of Hilo at the town of Honomu, the gateway to Akaka Falls. Providing an easy drive time to either Volcano National Park, Waimea, Kona. Come experience the allure of old Hawaii, come experience The Palms Cliff House Inn. Enjoy stunning vistas and an exotic, idyllic setting on exclusive oceanfront property on Maui's North Beach. From magnificent ocean views to unprecedented amenities, this resort is in harmony with Hawaii's culture and environment. Maui's gentle climate and fabled surroundings form the framework for a relaxing yet invigorating experience. Recharge by engaging in water sports or nearby championship golf. Find rejuvenation in Maui's natural splendor. Spacious, richly-appointed one- and two-bedroom villas offer both island and ocean views, stone flooring, and other distinctive touches that truly reflect the unique Hawaiian culture and help you rejuvenate. 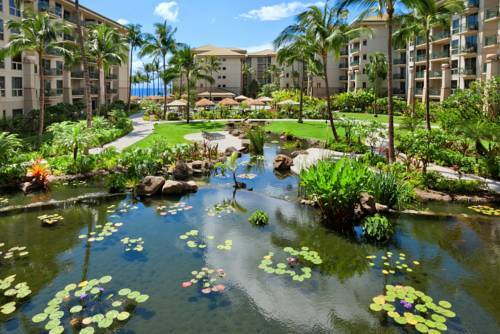 Discover the ultimate Kaanapali Beach hotel - Hyatt Regency Maui Resort and Spa. Surrounded by 40 lush, beachfront acres, our breathtaking Maui hotel presents an astonishing array of delightful ways to spend your days and nights. Frolic in our water playground, pamper yourself at the spa, play championship golf and tennis, scuba, ride the waves, even spend an evening with the heavens. Feast on the beauty of nature, on our priceless art collection, and in our delectable restaurants. Indulge in all we have to offer to create your own perfect Maui resort getaway. Oceanfront views, delightful pools with serene swans and cascading waterfalls are only the beginning of the extraordinary dining experiences that await you at the Hyatt Regency Maui Resort & Spa.